If you have a moggy or 2, then you'll most definitely relate to this! 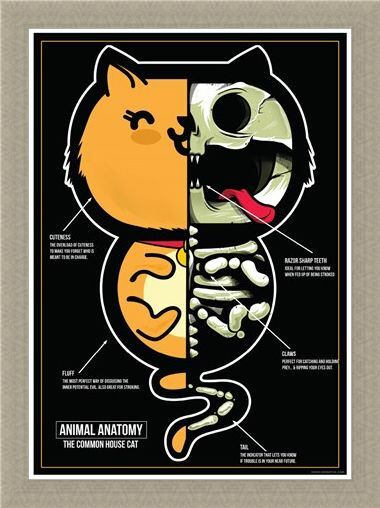 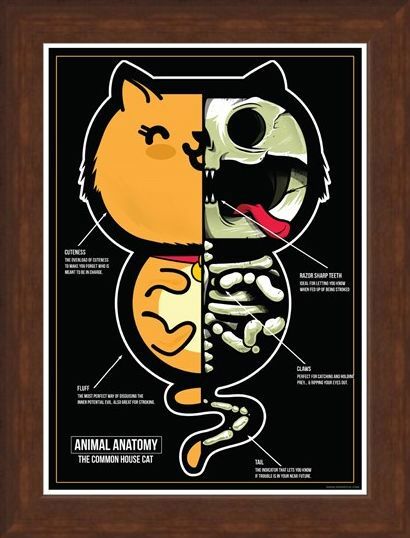 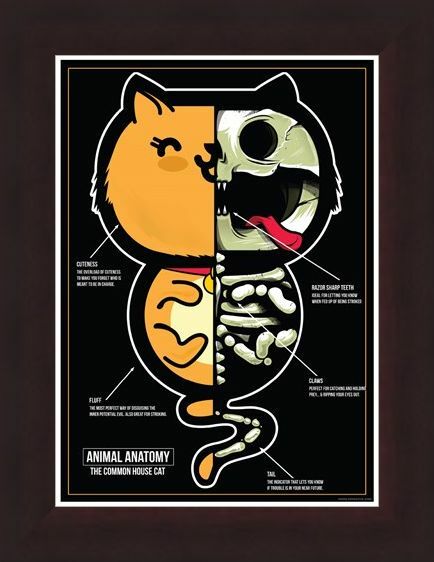 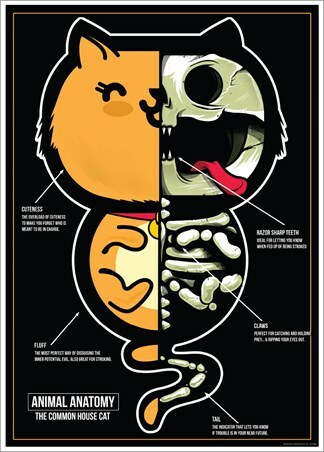 Featuring the 'Anatomy' of 'The Common House Cat', this fun poster points out some well known areas of the body that non-cat lovers may not know, such as 'Razor Sharp Teeth' and 'Cuteness'. Don't be fooled by the external fluff that makes the feline race utterly adorable...there's a whole lotta evil lurking beneath that gorgeous exterior! 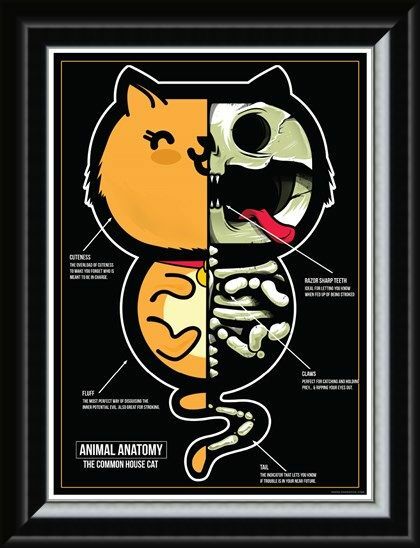 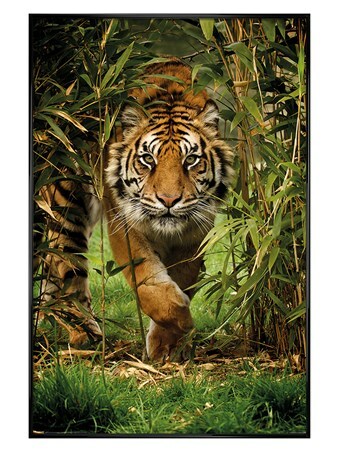 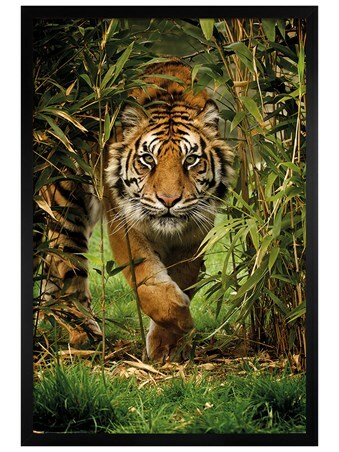 High quality, framed The Common House Cat, Animal Anatomy mini poster with a bespoke frame by our custom framing service.